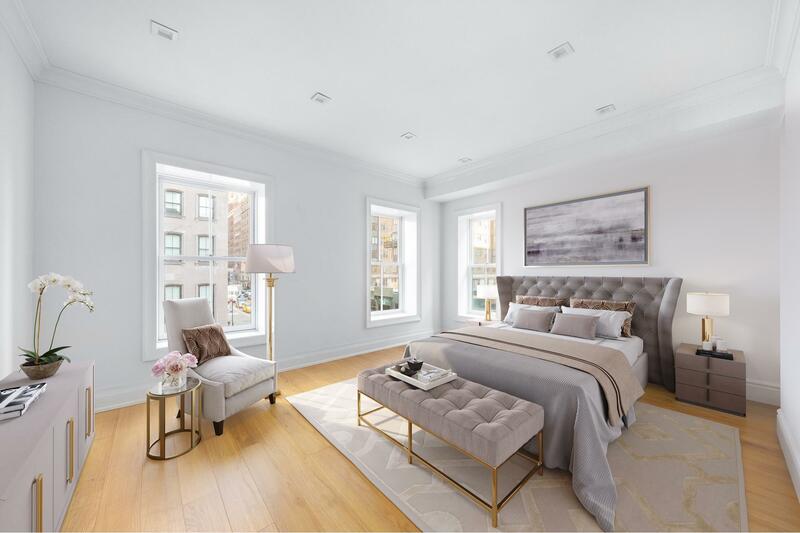 134 East 36th Street is a meticulously renovated single family home that sits perfectly in the famed Murray Hill Historic District. 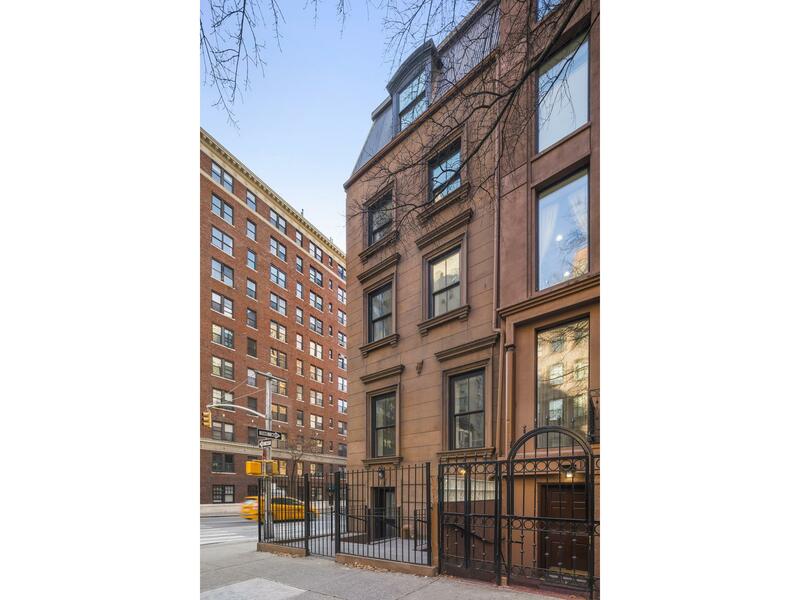 Built in 1940, the rarely available corner brownstone situated on the southwest corner of 36th Street and Lexington Avenue boasts over 5,000 total square feet. Light graces the newly updated home all day from its triple exposure. 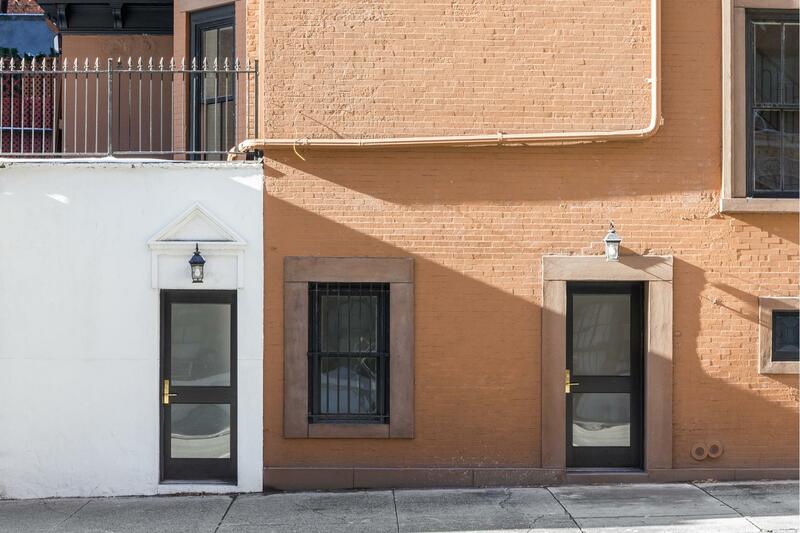 The reimagined brownstone comes equipped with modern amenities yet maintains the classic characteristics of the old era. Stepping through the private gate, the graciously sized ground floor leads to a grand foyer with over 1,100 square feet of flexible space. 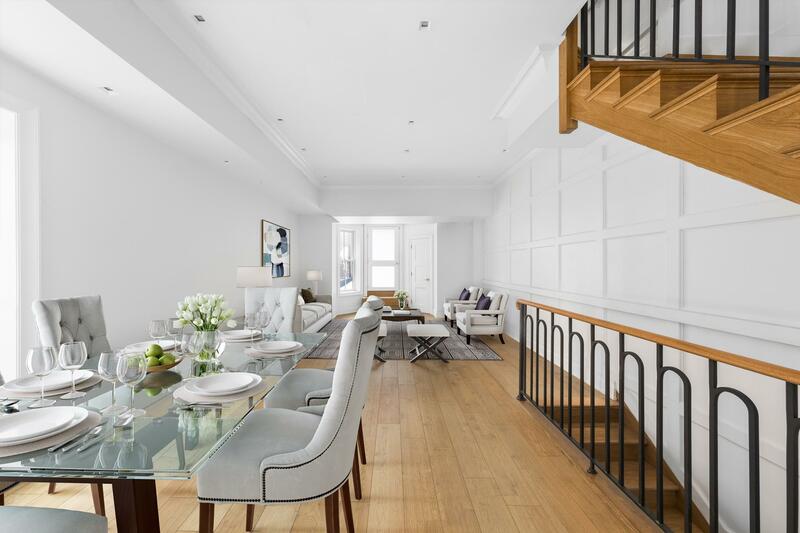 Throughout the ground floor is a sprawling family room, library, a half bathroom as well as a private elevator that services the entire home. 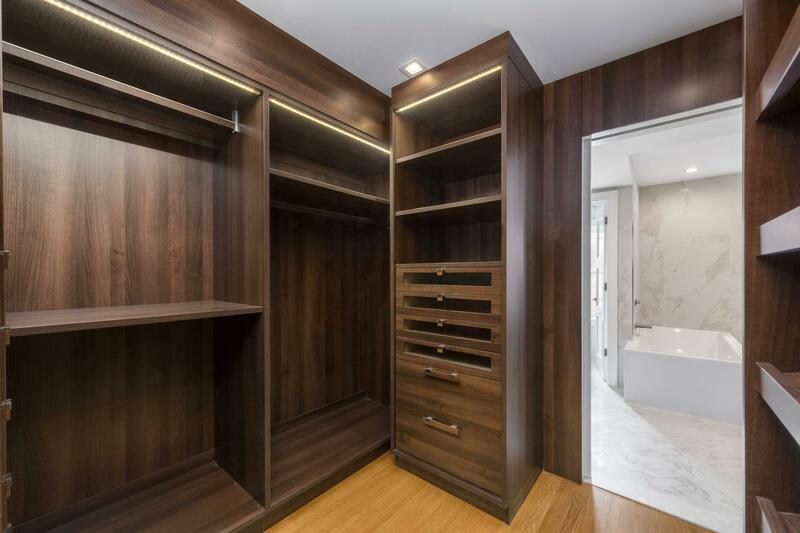 There is no shortage of space and storage with a coat closet flanking the entrance and additional storage in the rear. 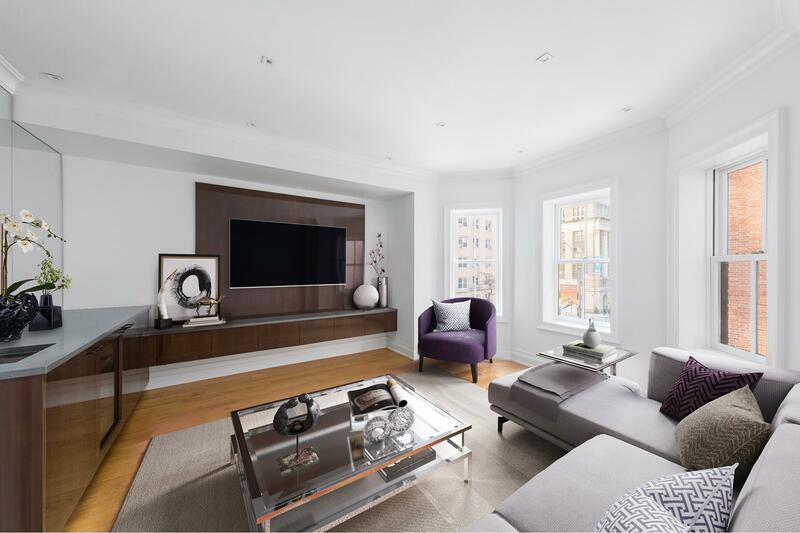 No detail was overlooked in this house with other features such as central air conditioning, Lutron lighting system, radiant heat floors, built-in stereo and a state of the art alarm system. On the second floor is a true home entertainer's paradise. Entertaining comes easy as the grand parlor is the perfect setting for both formal living and dining. The 11-foot ceilings give a sense of grandeur as well as the accessible indoor/outdoor living with a 450 square feet landscaped private terrace. 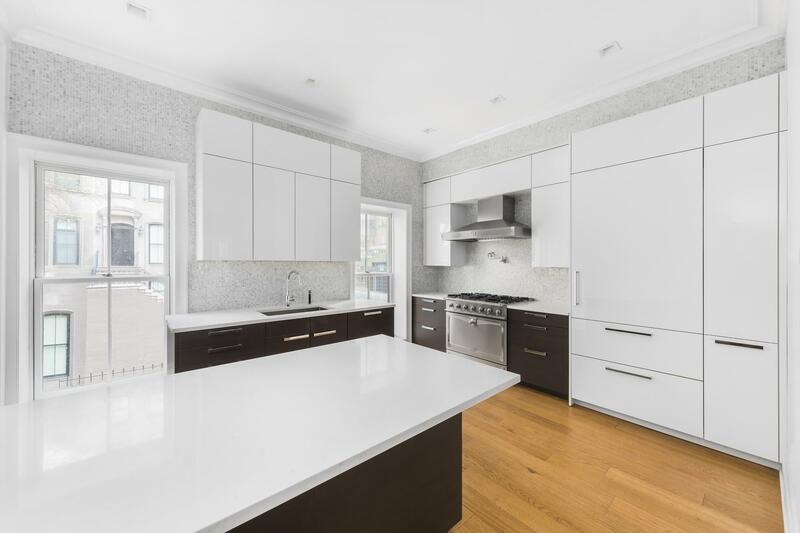 The custom designed chef's kitchen includes a five burner La Corneau range with matching hood vent, paneled Subzero refrigerator, Miele dishwasher, Wolf microwave oven and custom cabinetry by Poggenpohl. 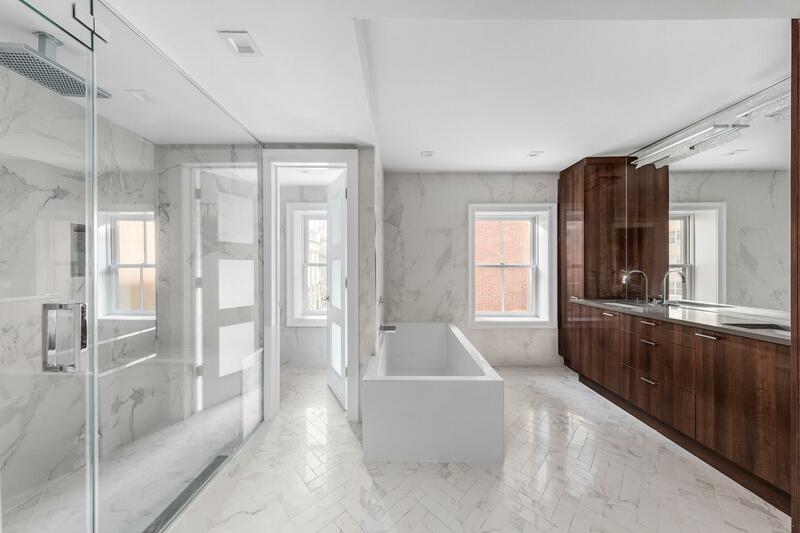 The parlor floor also comes with a beautifully finished powder room for guests, custom millwork and oversized windows facing 36th Street and Lexington Avenue. For a more intimate setting, the third floor features a custom media room outfitted with a wet bar and wine cooler. Host movie night with the 64 inch built-in TV and preinstalled surround sound. 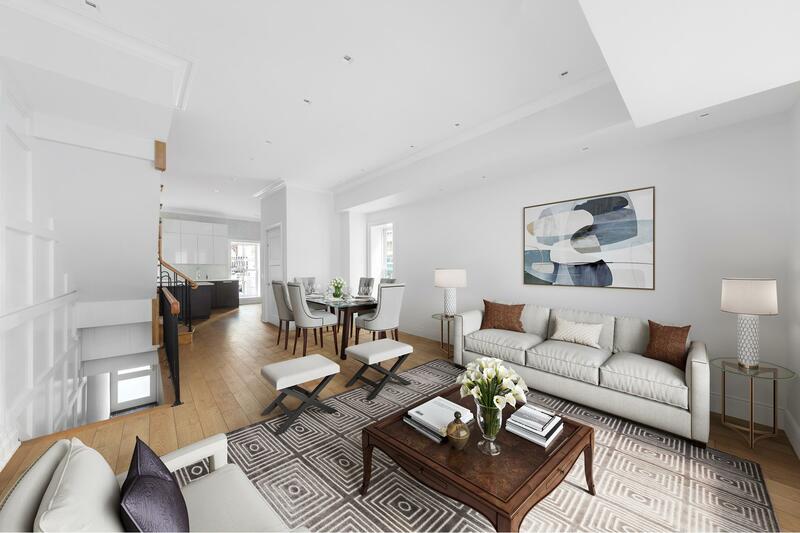 Walk through the double doors to a generously sized bedroom, one of potential five throughout the house. 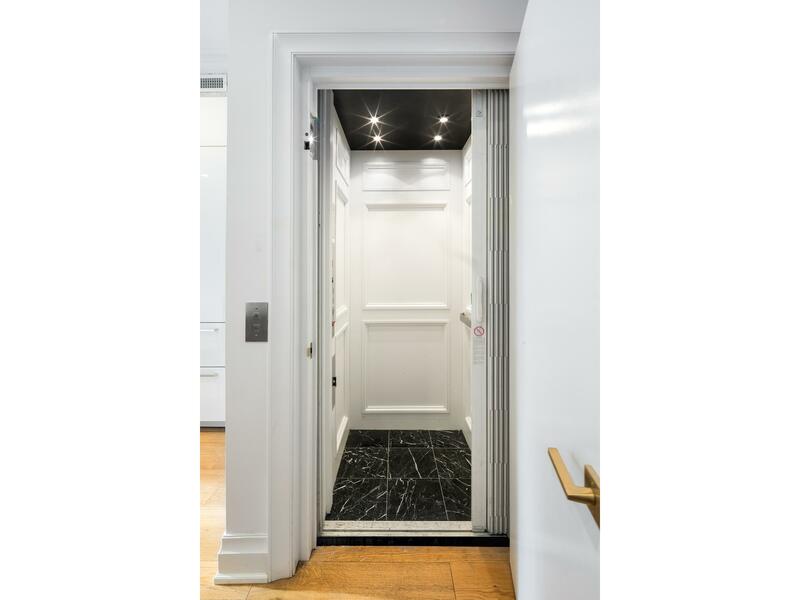 The entire fourth floor is dedicated to the master suite that includes a customized dressing room and a five-piece master bathroom cladded in white marble and custom lacquered cabinetry. Take reprieve from the city life in the deep soaking tub or the steam capabilities in the shower. The master bedroom has double exposures looking towards the Chrysler Building. The fifth floor consists of two additional bedrooms that are of well-proportioned size and benefits greatly with high ceilings. Take in the Chrysler Building view from the private roof deck and from the northern exposure throughout the house. 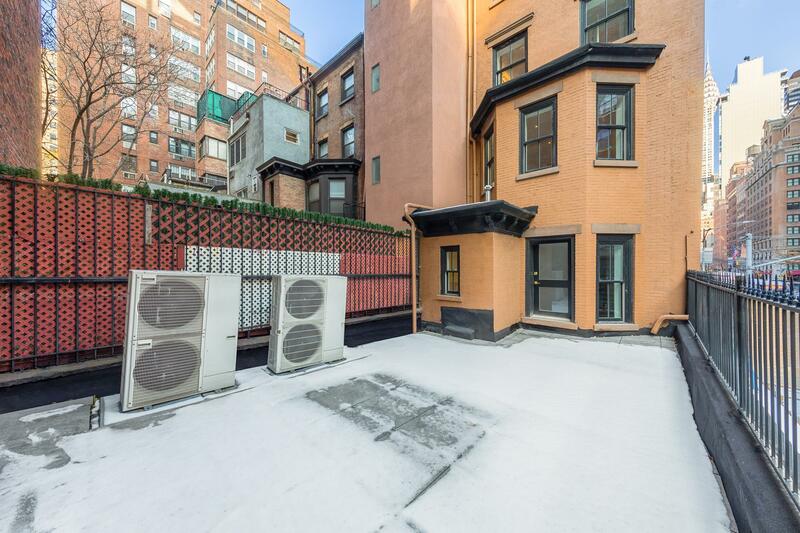 Conveniently located in prime Murray Hill, 134 East 36th Street is at the epicenter of fine dining, shopping with Dover Street Market a few blocks away and all major transportation located nearby. There is potential for mixed-use opportunity to generate income or create the ideal live/work situation.